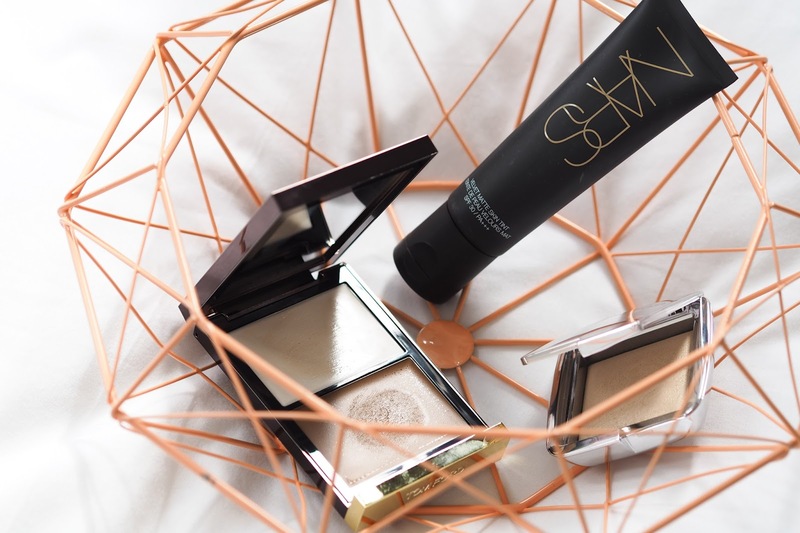 So i recently splurged in Space NK & Selfridges, and although i'm loving everything i've tried so far, there were a few stand out base products which i wanted to throw together in a post. In terms of base i like natural but flawless, glowing skin with sculpted and highlighted cheeks. I often opt for a peachy highlight or a subtle blush and let the contouring do the talking. With that in mind, its not surprising that i love these products, so i wanted to give you the low down on whats great about them and anything you may wish to consider before purchase! 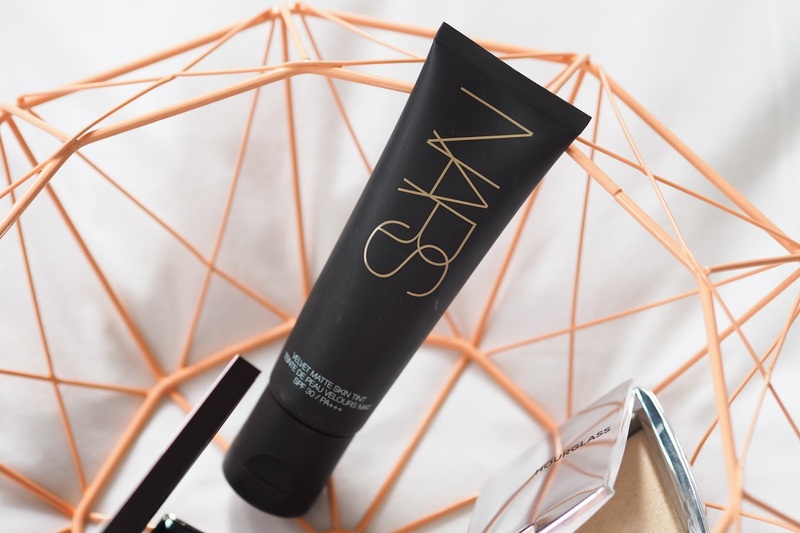 NARS VELVET MATTE SKIN TINT // The first thing i tried was this Nars Skin Tint. I'm nearly out of my Nars Tinted Moisturiser so i picked this up to replace it, and i'm definitely not disappointed. Its a light coverage but can be built up to medium without looking heavy or cakey, so its perfect for me for day to day wear. The finish isn't quite matte as it states, its definitely more of a natural finish - it doesn't add any radiance but the finish stops you from looking flat, so i can imagine this would be a great base for oily skins. For me it means i can skip powder at the moment and i know in summer i'll have no problems with looking shiny throughout the day. It lasts around 8 hours on me with is good enough as i never wear makeup all day long, but you could definitely extend the lasting power by using a primer of some kind (i recommend the Sunday Riley Effortless Primer). In conclusion, its a thumbs up from me! I can see this being my daily base for the foreseeable future. TOM FORD SHADE & ILLUMINATE (INTENSITY ONE) // I love contouring. I have a selection of contouring products, both powder and cream, but i didn't own a simple contouring palette like this one. 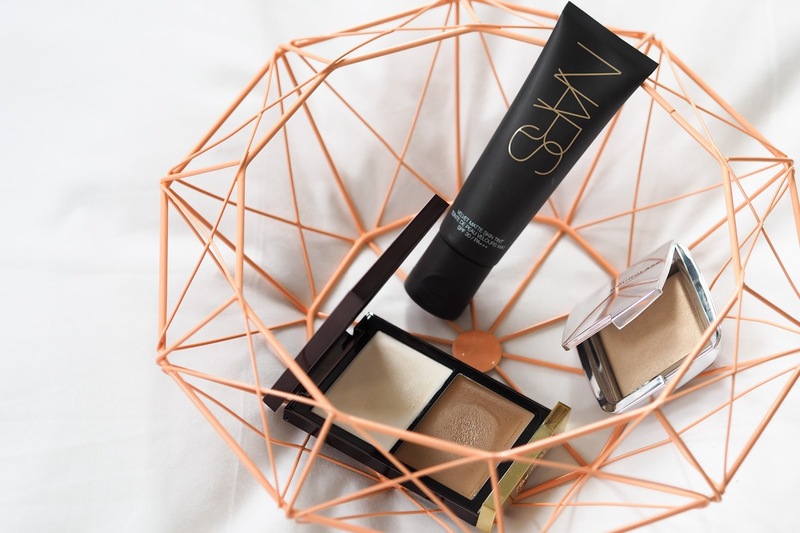 I wanted something which was creamy which i could use in the daytime for a natural contour, or as a contour base in the evening below a powder bronzer and highlight. This one is perfect for that purpose. You could definitely build up the contour colour for quite a deep contour but do bear in mind it is more of a warm tone. I tend to use it lightly for a bronze sculpted look. The highlight is more subtle, it adds a natural sheen to the cheeks rather than a shimmery highlight. I love it for minimal makeup days as most of my highlights are very dramatic, so this makes a nice change. I layer it up a little to really see the beautiful sheen, and no matter how much you layer it, it never looks fake or patchy. In terms of texture, its a cream but i'd say its got a gel-like consistency to it. Its relatively sheer but you do have to be careful with blending out the contour colour before it sets as otherwise it can look unnatural (its definitely harder to blend than the highlight). 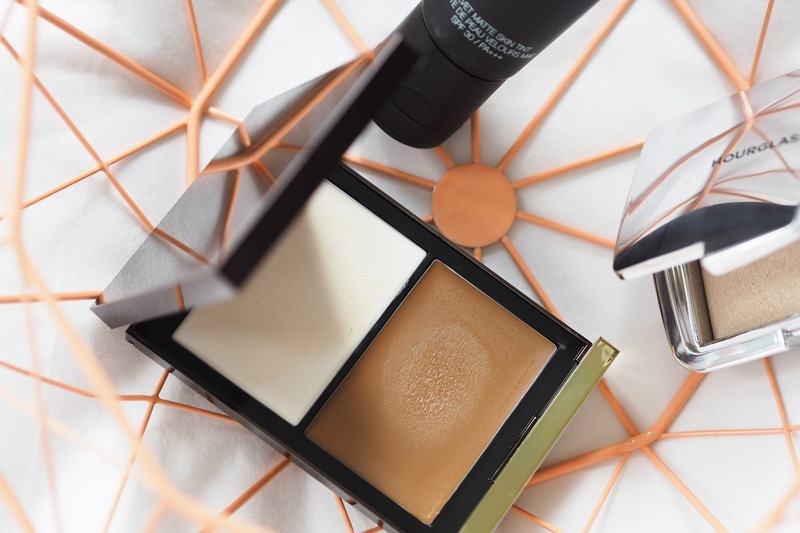 Overall i love the consistency as it means that although it requires a little more blending, it means the product lasts all day, which is amazing for a cream product. Again, my all day is about 8 hours so please bear that in mind! I purchased intensity one, which is perfect for me. Intensity two will probably be too dark for most people unless you have very tanned skin. 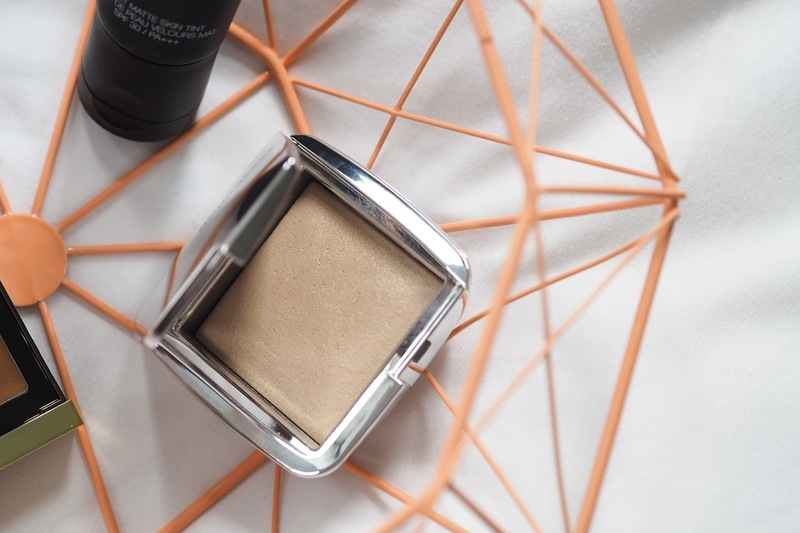 HOURGLASS AMBIENT STOBE LIGHTING POWDER // Whilst i'm posting about some current faves, i thought i'd mention this little beauty of a product. I'm a huge fan of the Hourglass Ambient Powders, every single variant they launch is just brilliant. The Strobe Lighting powders are perfect as a natural highlight, whereas i'd say the original powders are better for all over setting. The shade i have (Brilliant Strobe Light) Is a yellow toned powder so it really brightens and lifts the cheeks. Out of all of them this one shows up the most on me, but its still quite natural and brightening rather than highlighting/sculpting. If i'm going for a really glowing skin look i find i can dust this all over the high points of my face, and it still doesn't look too much. 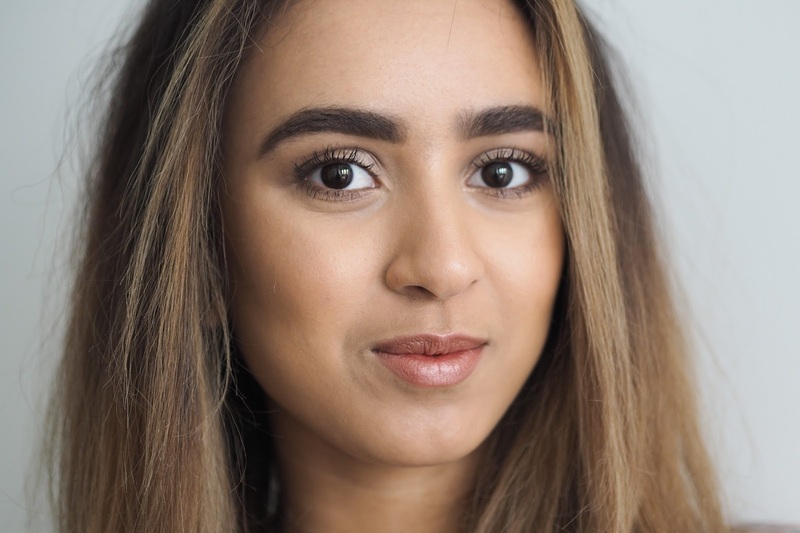 If you love natural looking makeup with fresh and glowing skin, you'll definitely want to try these out. There are a few other shades which cater to all skin tones, so i'd recommend going to give them a swatch. So there we have it, some new base favourites! Have you tried any of these products? I'd love to hear your thoughts!